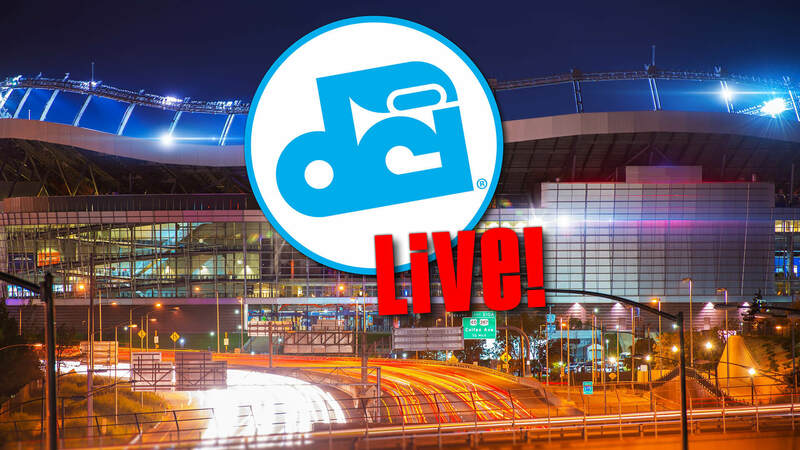 The Drum Corps International Tour continues its march through the month of July, with a stop in Denver on Saturday, July 9 for the annual Drums Along the Rockies competition. This thrilling matchup between World and Open Class corps is scheduled to be webcast through the DCI Live! streaming video platform. Ten corps, including the hometown favorite Blue Knights, will scale the Rockies to perform at Sports Authority Field at Mile High on Saturday. The action gets started at 8:30 p.m. ET / 7:30 CT / 6:30 MT / 5:30 p.m. PT. • It’s been seven years since the Cavaliers have made the trip to Denver, and this will be one of the corps’ first opportunities to measure up against its pacific counterparts. Falling four places behind Santa Clara Vanguard during the 2015 DCI Finals, the Cavaliers could be within striking distance of the California corps on Saturday. Vanguard last performed in Ogden, Utah on July 7 with a final score of 75.900, while the Cavaliers posted a 74.500 back on July 3 in Cedarburg, Wisconsin. • Members of the Blue Knights will be looking forward to home field advantage in Denver and use that momentum to their advantage. Achieving a mark of 69.900 on Thursday, the corps will be poised to eclipse 70 points on Saturday night and push past yet another scoring milestone. • After a number of days off for rehearsal, the Blue Devils put up one of the highest scores to date on the 2016 DCI Tour on Thursday. Finishing in first place at 79.500 in Utah, the Devils are oh-so-close to being among the first corps of 2016 to power past 80 points. • In Open Class competition, Oceanside, California’s Gold will be joined by the Columbians and Golden Empire; two corps that will be making their Drums Along the Rockies debuts on Saturday. All three corps faced each other on Thursday in Utah, with the Columbians taking a 1.6-point lead over Gold. Columbians will look to hold that lead through Saturday, which will mark the final event of the Washington corps’ 2016 summer tour.